The base species. 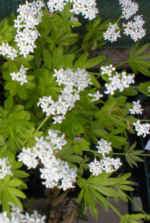 Ephemeral cup shaped white flowers followed by attractive foliage. 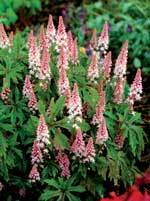 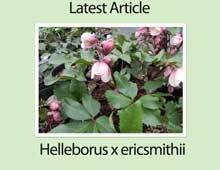 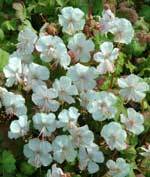 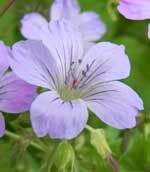 Excellent for growing in a damp, shaded spot in a rock garden, wild or woodland garden. 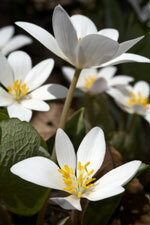 The rhizomes exude red sap when cut, hence its common name, Bloodroot.